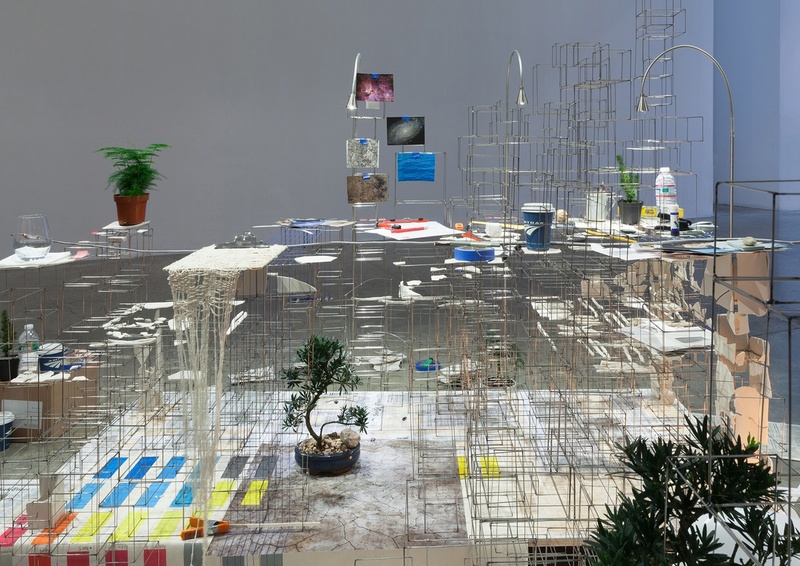 Through the month of March, the Victoria Miro Gallery will host a solo exhibition by the artist Sarah Sze that spans all of the gallery’s London exhibition spaces. This is Sze’s third solo exhibition with the gallery and the artist’s first time she has shown in Europe since the Venice Biennale in 2013. Miro’s Wharf Road galleries are currently playing home to a number of the artist’s spatial explorations, spread out across all three floors of the space. The works on view come from of a yearlong residency at the Fabric Workshop and Museum in Philadelphia, Pennsylvania from 2013 and 2014. 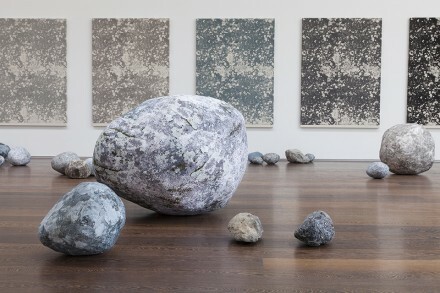 Reconfigured in the move from Philadelphia to London, the works present a fascinating opportunity to question the possibility of reproducing site-specific installation from an original location. 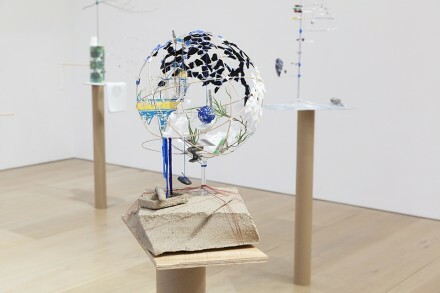 Typically working with large-scale sculpture, Sze is known for her intricate installations that serve to transform the space in which they are held. Though at times whimsical or uncanny, the artist’s background in architecture is easily discerned in the constructions and elaborate manipulation of space achieved in her work. Structures penetrate walls, and stretch across entire museum galleries, motivated by a real investment in the potential for molding space. 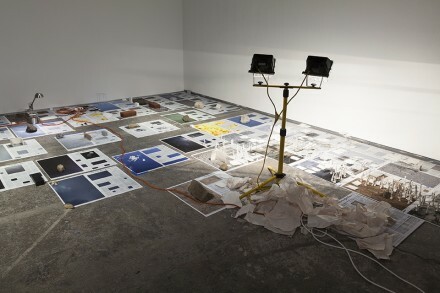 By reassembling the human experience of vernacular material, Sze deconstructs the quotidian down to the present moment through collision and combination, treating sculpture as an opportunity to enact a sort of spatial bricolage that interrogates the systems and objects that shape their defined consumption and purpose. 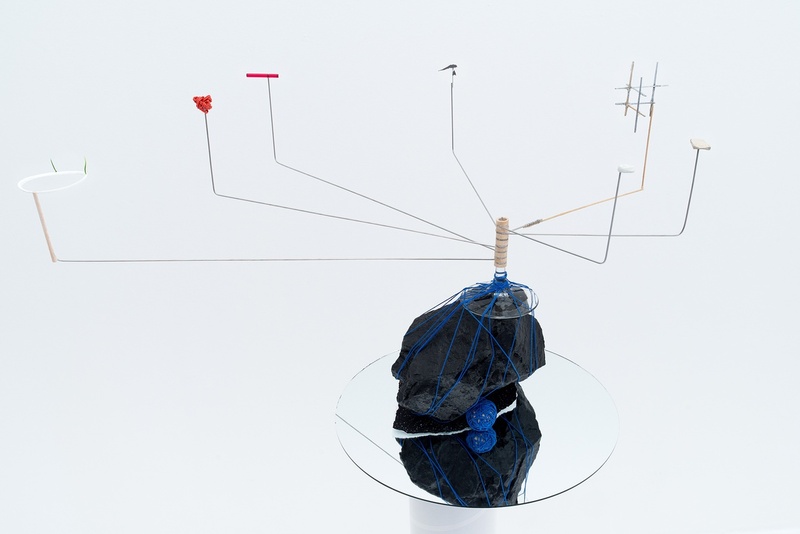 At Miro’s Mayfair location, Sze has created a specially focused series of small sculptures, designed to reflect the specific moment of their conception, and to echo an interest in the temporary nature of sculpture and art itself. 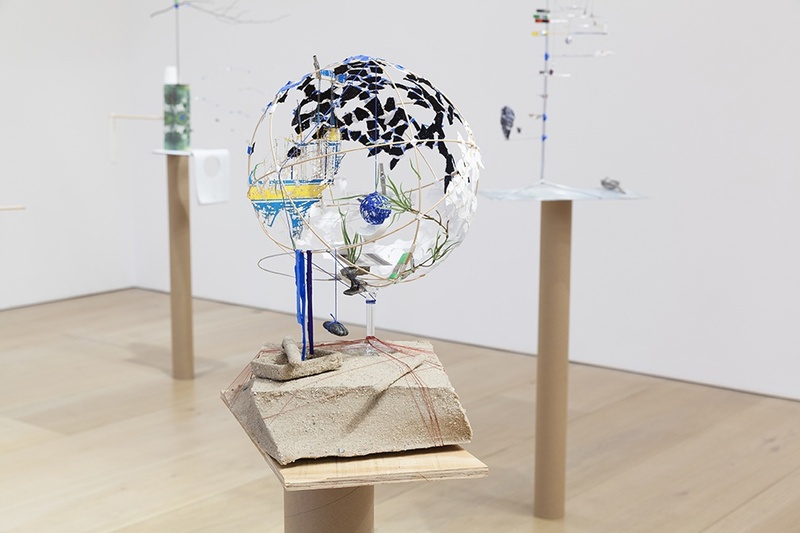 According to the exhibition’s press release, each sculpture serves “as their own temporary site marking a precisely composed moment.” The tension between art, as both an action of creation and the remnants this action leaves behind, is explored in these simple pieces. Sze works with these tensions, and the material impermanence implied in their construction, to explore a relationship between time, space, and art. 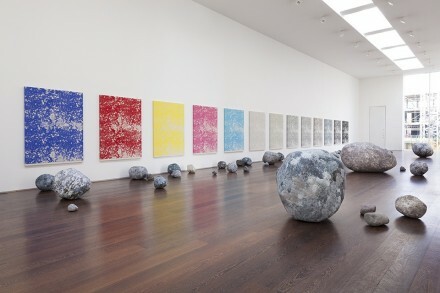 Also on view at Mayfair is a series of silkscreen prints, marked with the date January 1,2014, pointing to the fraught relationship between art and the passage of time. These prints of a series of newspapers headlines printed around the world on this date are illustrated with images of constellations in the night sky. 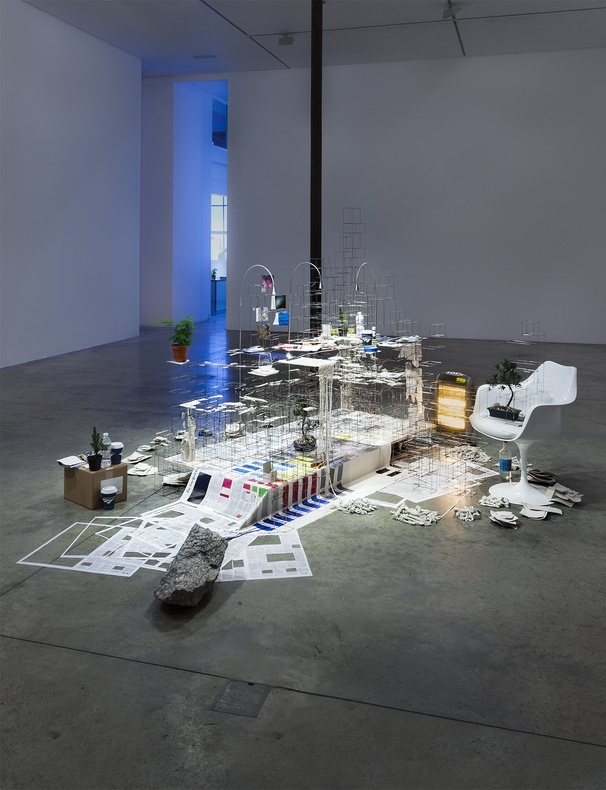 A clearly profound understanding of form and composition compliment the visually as well as intellectually engaging work of Sarah Sze. Expansive and all-inclusive, the artist explores the range of potential at her disposal to stage an interrogation of the limited human experience of space and object, exposing the complex and often challenging relationship between scale, tension, and atmosphere. 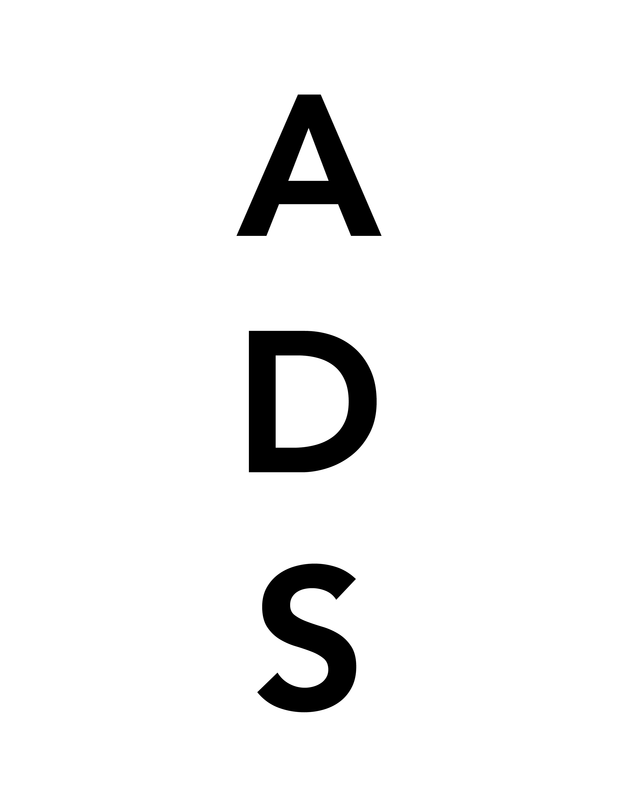 This entry was posted on Friday, March 6th, 2015 at 12:00 am	and is filed under Art News, Featured Post, Show. You can follow any responses to this entry through the RSS 2.0 feed. You can leave a response, or trackback from your own site.